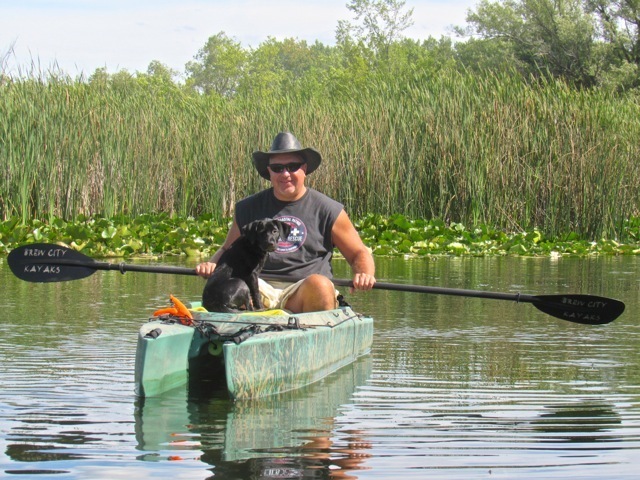 We sometimes get questions about taking a dog on board Wavewalk kayaks, since people want to take their dog on paddling, camping, photography and fishing trips, while others use a retriever on their hunting trips. The W500 kayak series is stable, spacious and dry, which allows for taking a dog as a passenger on board, even if the dog is reasonably big and heavy. The W700 is more roomy and stable than the W500, and the S4 is the world’s most stable kayak, and it features a front deck that can serve as a dog platform. This article summarizes people’s experience in this field, discusses the factors to consider, and offers technical solutions. Are you a big and heavy person? Being heavy might limit your ability to take a big and heavy dog with you, since the maximum total recommended load for the W500 is 360 lbs (163 kg). Is your dog big and heavy? Some dog breeds (e.g. English Mastiff, Great Dane) can weigh over 200 lbs, and they are not candidates to become passengers in a W500 kayak. If you own such a big dog, you’d need a W700 or S4. A dog traveling in a W500 kayak sits or lies down on top of the saddle, and unlike human passengers, canine passengers cannot stabilize themselves with their own legs going all the way down to the bottom of the hulls. This means that unlike having a human guest traveling with you in the cockpit and stabilizes themselves, having a big and heavy dog on board a W500 could require an extra stabilizing effort from you. This would not be a problem in a W700 or S4. This is to say that if you’re not a good paddler, chances are that having a big dog on board your kayak could severely restrict your range of travel, especially if you go over long distances in difficult water or harsh weather. What gear do you carry on board? Camping gear can be heavy and bulky, while fishing gear demands that you could access it swiftly and easily at any time, and most importantly – do it in full safety. 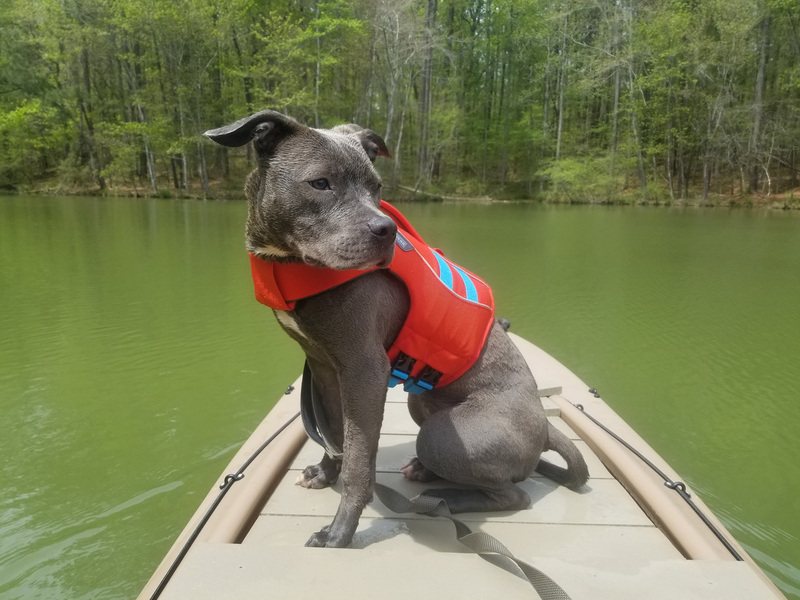 Such considerations are important when you’re planning to go on a kayak trip with your dog, and lack of proper foresight and planning could lead to problems, and in extreme cases it might get you and your dog in trouble. 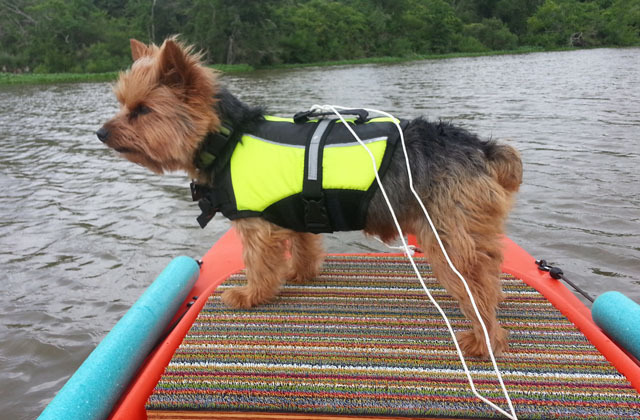 Generally, your dog needs a stable and comfortable place to be in while traveling in your kayak. This means a stable platform that won’t overturn as a result of something the dog did, or as a result of an external force. Preferably, such platform should not be slippery, and it better be surrounded by a shallow enclosure enabling easy access for the dog, while preventing it from rolling sideways in case you paddle in choppy water, or experience stability problems. For a small size, lightweight dog, a reed or plastic basket may suffice, This basket can either rest on to of the saddle in the cockpit’s front, or be attached to it with bungees, straps or bolts. The simplest solution for accommodating a medium or large size dog in the cockpit of your W500 or W700 kayak is to put a plastic chair or lawn chair in it. The dog’s seat is located at the rear of the cockpit in order to allow the angler to cast their lines, as well as reel in and land fish without problems. Ruth’s dog from central Texas feels comfortable on a simple platform added to the saddle in the front of the Wavewalk 500. Once again you have posted an article that is both instructive and stunningly candid. These pictures may be the best illustrations yet of the capacity and stability of Wavewalks. Searching through the website for pictures of dogs, and remembering stories and anecdotes involving dogs was a lot of fun for me. 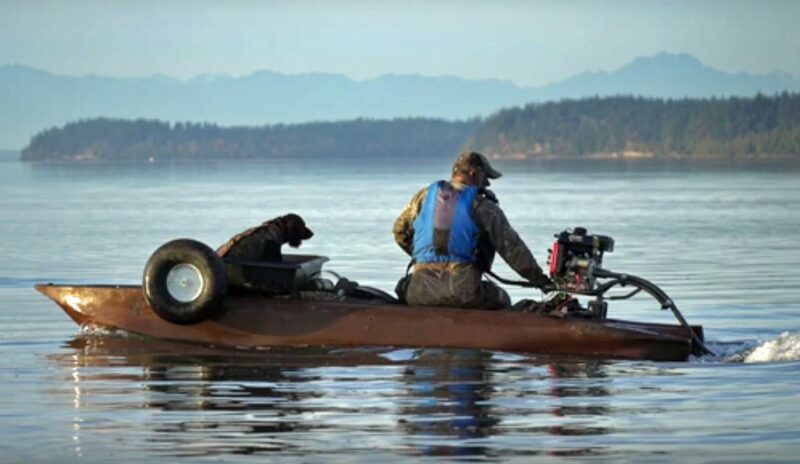 Dogs are fun, but I wouldn’t take mine on a kayak fishing trip, even in a w500!! This is a very interesting piece. 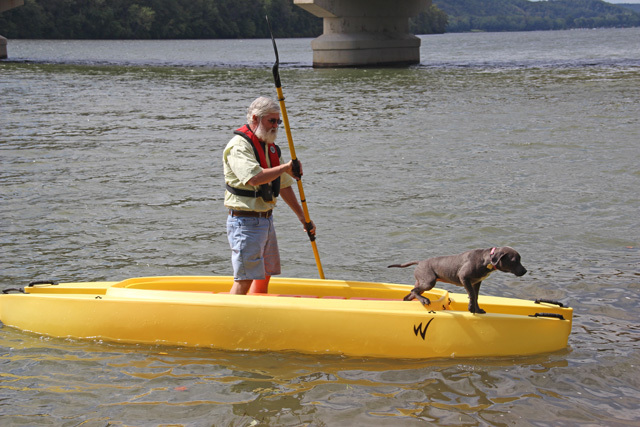 I had no idea there were so many possibilities for taking a dog on board a w kayak. But it makes sense that different people find different solutions for their dog, because the dogs are different from each other, and people want to do different things with them. In any case, I think there is a potential for platforms in many applications.